List view: Easily view a list from the photo gallery screen that displays photo thumbnails, project name, user and date captured, plus applied tags. 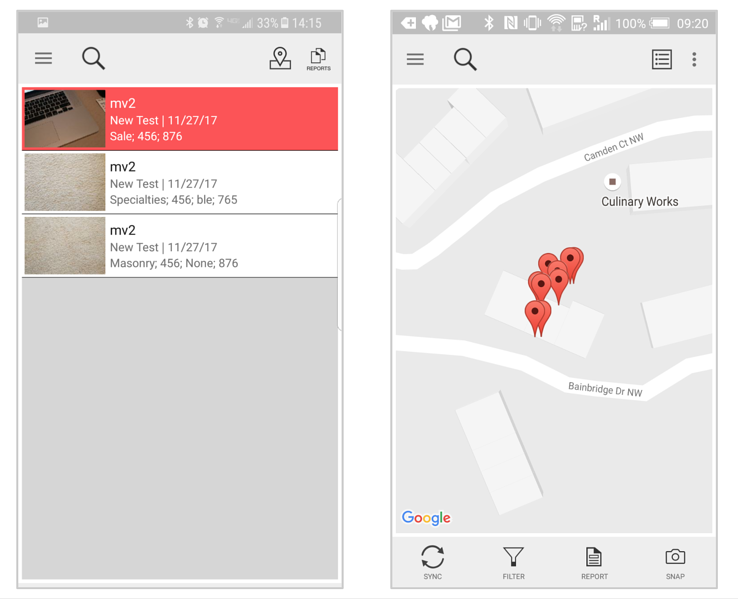 Map view: View captured photos on a map by tapping the map icon. Each pin represent a photo. Tapping on a pin will display the photo’s information. Return to list view by tapping on the list icon. Sync indicators: From the list view, photos may contain a colored icon in upper right corner. Yellow indicates that that photo is being synced. Red indicates that the photo has not been synced. TIP: View your photos on a map for a geographic visual of where your projects are and where photos have been taken. 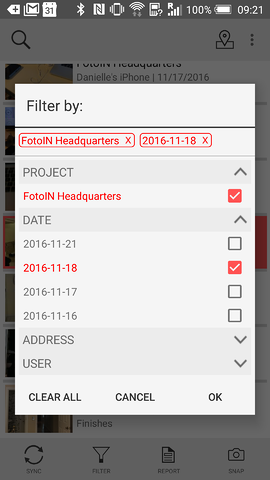 Tap on Filter to quickly locate photos by project, address, device/user, or date. Tap on the magnifying glass to search photos by keyword(s) or phrase(s). In view mode you can swipe /left right to view the previous/next photo. To reset the filters, go back to the gallery and tap Filter By in the filter drawer and then All. TIP: All of the information within your photos (project names, tags, annotations, comments, etc.) is searchable. When finished, tap on the trash icon in the upper right corner. 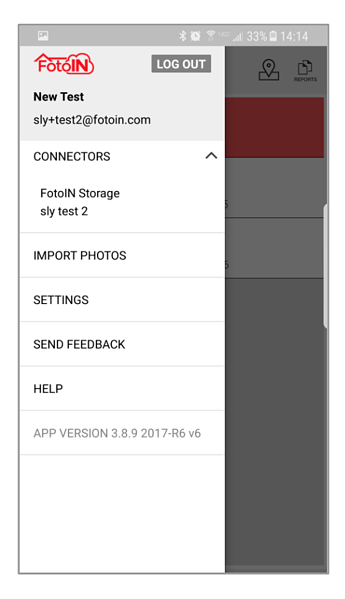 TIP: Open the notification drawer on your mobile device and tp on the FotoIN notification to open the FotoIN app into capture mode and start taking photos.